Only one in ten small businesses will make it their 10 year anniversary. That means access to capital plays an important role in the viability of small companies everywhere — and our economic well-being. Simply put, we need small businesses to succeed, and we need to ensure they have the resources to do so. Fortunately, the Small Business Administration (SBA) offers loan programs designed to connect small business owners with financing. But despite the SBA’s continued momentum in lending, many business owners don’t realize these options exist. The good news: Congress increased the SBA’s spending limit, signifying they can provide even more loans to small businesses. That’s pretty phenomenal, considering their total loan volume exceeded $30 billion in 2018. Most of those loans are for the 504 and 7(a) loan programs. Both programs accomplish the goal of helping small businesses grow, but there are certain qualifications your business needs to meet first, and important distinctions between the two loan programs. In order to qualify for SBA lending, businesses must meet a few basic requirements: The business must be physically located and operate within the U.S. The business must be for-profit and in an eligible industry. The business owner must have invested equity in the business. The business must be small. Additionally, lenders have a set of criteria before moving forward with the SBA loan process. This can include a specified duration of years in business as well as minimum annual revenue and credit requirements. What you should know: The SBA 504 program is designed to provide small businesses with up to $5 million in financing, and can be used for buying equipment, land and heavy machinery. Unfortunately, 504 loans cannot be used for working capital, operating expenses or purchasing rental properties. These loans also have an interesting and sometimes complicated structure, given all the organizations involved in the process. Financing is provided by the SBA in conjunction with local nonprofits known as Certified Development Companies (CDCs) as well as a bank. How it works: SBA 504 loans cover up to 90 percent of the total cost of a project. The SBA will provide 40 percent, the bank covers 50 percent and the business owner contributes the last 10 percent. The Good: SBA 504 payments are often lower compared to other construction and business loans, since rates are fixed and the terms are longer (up to 20 years). That means the payment will be the same for the entire length of the loan – great for business owners who deal with ebbs and flows in revenue. It also enables business owners to provide less money upfront than what’s typically expected with other financing options. The Bad: With the SBA, CDCs and banks involved in the financing, there’s a lot of cooks in the kitchen, resulting in a tremendous amount of paperwork, processes and guidelines. Your business would need to meet requirements related to community development, job creation and economic development. For instance, small businesses must create or retain one job for every $65,000 borrowed ($100,000 if you’re in manufacturing). If that isn’t possible, a community development or public policy goal must be met. This can include helping develop a rural area or providing a much needed service in your community. What you should know: The 7(a) program is the SBA’s most popular lending program, and for good reason. SBA 7(a) loans provide up to $5 million in funding for just about everything a small business needs: refinancing debt, getting working capital for operational expenses, purchasing inventory/equipment/furniture/supplies; or even buying a building and renovating an existing building. The list goes on. How it works: The SBA doesn’t fund part of the loan like an SBA 504 loan. Instead, the SBA will commit to repaying a portion of the loan if you default, meaning you’ll need a lender to finance your entire project with the SBA’s guarantee. It also means that lenders have more say in how these loans are packaged. Important Pitfalls to Avoid: Considering SBA 7(a) loans are financed entirely by a financial institution, it’s important to partner with a bank that not only supports your vision, but has expansive knowledge of the SBA program requirements and allows you to work directly with the underwriter. Wooden Mountain, an indoor rock climbing gym, is a great example of this. It started as a dream shared by three friends who wanted to bring their climbing passion to life. They worked with multiple banks on a SBA loan. But with each bank, the deal inevitably fell through. Why? A few reasons: 1.) Wooden Mountain didn’t fit into a standard credit equation; it required the financier to have a deeper understanding of SBA loans, the owners’ themselves and even some creative problem solving. And 2.) They couldn’t deal directly with the person underwriting the loan, who was ultimately making the decisions. Luckily, when they came to FirstBank, they worked directly with our loan officers, who also handle the underwriting. We were able to consider the owners’ personal/business experience, their goals and the company’s potential. As a result, the loan was secured. Wooden Mountain exceeded all expectations and broke even in its second month – an amazing feat for a startup. The Good: SBA 7(a) loans are particularly attractive for businesses in the startup stages because they have more flexible requirements for owner collateral and equity than traditional commercial loans. Additional benefits of the program include lower interest rates and fees than traditional loans, and counseling support to help business owners through the startup process. The Bad: Because of the SBA’s involvement, the timeline can be longer than conventional loans. What’s more, your personal credit plays a larger role in securing an SBA 7(a) loan. So if you default, the SBA may be able to go after your personal assets. 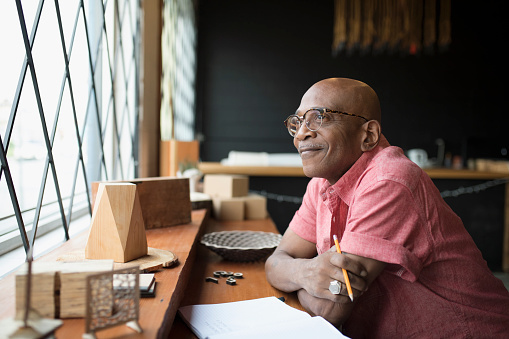 Whether your small business is in the startup stages or more established, SBA lending offers a number of benefits over traditional lending avenues. With approvals reaching highs not seen since before the great recession, now might be the time to pursue an SBA loan.